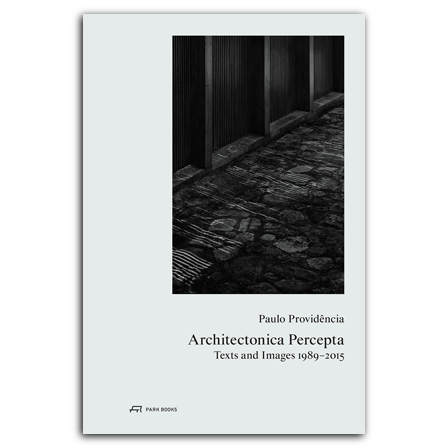 Paulo Providência—Architectonica Percepta celebrates Providencia’s influence on contemporary Portuguese architecture by looking closely at seven of his key buildings. The buildings are presented in striking duotone photographs taken by Alberto Plácido, and each building in the book is documented with selected plans and details about its design and construction. Rounding out the book are five essays by Providencia, reflecting on his work and his influences, such as Peter Zumthor. , born 1965 is a Portuguese photographer. The territory and the geographic space, and the way we appropriate them, are the main concerns of his artistic practice. , born 1962, graduated from Porto School of Architecture. He runs his own firm in Porto and leads a Design Studio at the Department of Architecture at the University of Coimbra, Portugal.